Mold is a type of organism that thrives in dark and damp areas, reproducing by releasing mold spores into the air. All that is needed for mold to develop is moisture, humidity, and organic matter. There are literally thousands of types and variations of mold, some toxic and some non toxic. Do you know which types of mold are lurking about in your home? So, Where Does Mold Grow? extremely hazardous to you and your loved ones health, as well as damaging on your wallet if not dealt with in a timely manner. Mold is very dangerous as it typically makes people develop a wide range of health illnesses. Some of these illnesses include: respiratory infections, rashes and skin irritations, severe allergies, eye problems, severe illness, and even contributing indirectly as well as directly to death. where mold may be found. Mold growing in the bathroom- Mold thrives in high humidity, dark environments which are constantly exposed to moisture. The bathroom is a perfect place where mold can grow since it is where you brush your teeth, take showers and baths, wash your hands, along with many other actions that require water or that create humidity. You should routinely check the edges of shower curtains, the corner of the bathtubs, the sides of the faucets, underneath cabinets You should also check at your bathroom rugs are routinely cleaned if you have them. Poor ventilation in bathrooms is another major factor that inhibits a prime breeding ground for mold growth. Inside, underneath, and behind kitchen appliances and cabinets are another prime breeding ground for mold to grow as most of these places are dark and moist. You can prevent mold from growing in these places by ensuring that there is no standing water in the pan of the refrigerator, making sure that your water lines and drainage lines are not leaking, routinely cleaning underneath and behind kitchen appliances, and keeping your refrigerator clean and maintained. Mold in basements, cellars, and Crawlspaces-This place is very good in breeding the house mold. This is because there is only a little or no sunlight at all. The place is also not ventilated well and there is high humidity. You can prevent mold from growing here by repairing all the leaking pipes and make the basement floors and walls waterproof. Mold in Attics- Attics with poor ventilation are often one common place you will find mold. Lack of attic vents, roof vents, and/or attic ventilation fans are prime places for mold to flourish. If you have had a leaky roof or extremely wet weather for a long period of time, obviously the moisture will contribute to starting a mold infestation. Mold in HVAC systems, Air conditioning units, and furnaces- The heat from machines or furnaces of the HVAC units may lead to growth of house mold. This is especially true if there is water near your HVAC system, furnaces, oil tanks,etc Condensation occurs in areas with high cold or heat and it typically leads to mold growth. To prevent this, always clean and maintain your HVAC units, duct work, and other heating and cooling components frequently. Crawlspaces, underneath the floorboards, under carpet and carpet padding, in closets, inside of walls, in drywall, etc. Mold can even be found growing in your car and the ventilation systems, scary! In conclusion, if you are worried about the air quality in and around your home, and/or have experienced one of the many causes that could lead to mold growing within your home or building, it would be a good idea to conduct a thorough mold inspection of these areas. Just think about it, mold spores mixing with dust and other air pollutants swirling about in your home for you and your loved one’s to breath…very disturbing to say the least. Obviously, education and taking preventative measures are the best routes to explore when it comes to preventing a potentially hazardous mold infestation. 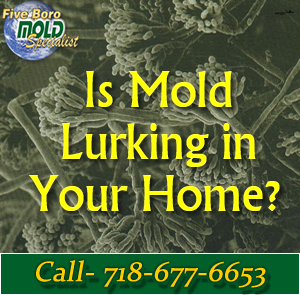 If you suspect that you have mold lurking in and around your home, please give Five Boro Mold Specialist a call to schedule a professional mold inspection service. 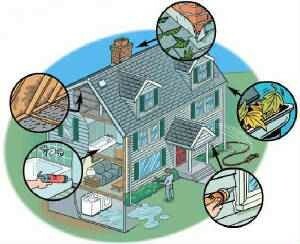 prevention chemicals to rid your property of health-threatening toxic Mold. Our highly experienced staff are certified, professionally trained, and have been committed to providing all of our clients with impeccable and stress free mold removal services. We also offer a signature 3 year satisfaction guarantee on all work performed by our NYC mold experts. You can schedule a NYC mold inspection service with one of our mold removal experts to receive an in depth estimate and to learn more about mold inspection and mold removal process.